This photo was taken in a small cottage in Thornhill, a friendly Scottish village. 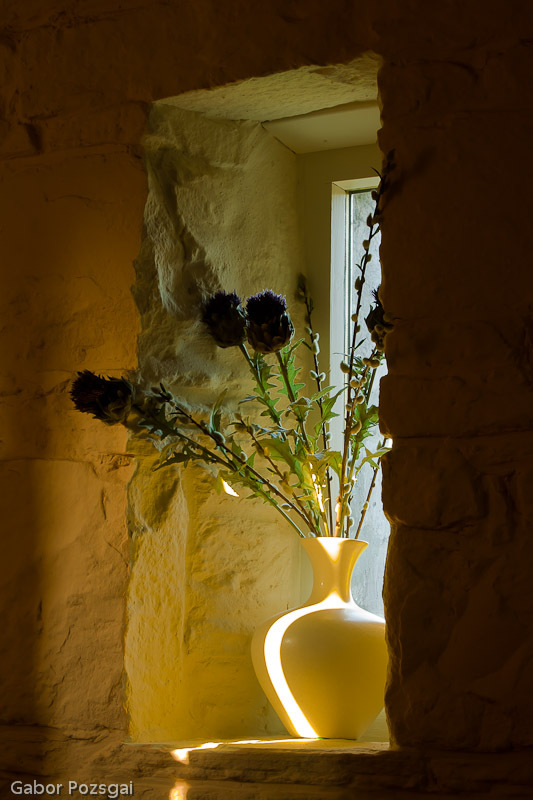 The warm evening light shining through the narrow window lit the bunch of flowers in the vase inside the dark room. I especially like this photo because of its radiating tranquillity and peacefulness. Only 50 prints will be produced of this photo. Each will be numbered, dated and signed by the photographer. The print comes matted and mounted in a frame. has been sold this image so far. After selling this one only 49 prints will be available to buy from this series. The next piece will cost £90.00.